Why study the MSc Strategic Marketing with Integrated Placement (15 months/24 months) at Middlesex University? The course has a strong focus on applying theoretical concepts to practice situations, employing real-life case studies and a week-long residential to give you a true understanding of strategic marketing practice. There is also the option to take 6 month work placement as part of the 18 month version of the course to further develop practice understanding and professional competencies. Gain practice skills and in depth knowledge in the three core subject areas of Strategic Marketing and Leadership, Strategic Analysis, and Implementation. What you will study on the MSc Strategic Marketing with Integrated Placement (15 months/24 months)? The course starts by embedding the fundamentals of the subject in the learning through core modules covering key areas such as brand management, leadership from a marketing perspective and planning for a global market place. From here you will select four optional modules in areas in which you would like to specialise or across the spectrum to give a broad knowledge base. These modules consists of insights based topics such as consumer psychology and customer analysis, strategy based subjects such as marketing communications and product management, and implementation in areas such as digital marketing and experiential marketing. The course ends with a dissertation, allowing you to explore in depth a strategic marketing topic of your choice. This module purpose is to enable students to develop effective high level strategic marketing strategies relating to an organisations corporate targets. Strategy theories, concepts, tools and models are applied in order for students to be equipped with a strategic approach towards marketing planning to achieve a competitive advantage. The module aims to provide students with a detailed critical awareness of the issues and themes surrounding relationship marketing and the management of such an approach to business. In particular, the module will focus on the development and implementation of relationship marketing strategies that enhance organisational profitability and success. This module aims to promote creative advertising practices to enhance brand communication which are creative and innovative, whilst still underpinned by a critical understanding of concepts, frameworks, and models. Students will operate in creative teams designed to mirror organisations in the creative industries and work on assigned creative briefs for a range of business and consumer brands. The module will explore the techniques of integrating the various marketing communication tools, such as public relations, advertising and sales promotion. Students will also learn the various methods of engaging target audience on the offline and online platforms as well as on digital social media, to produce a coherent brand communications strategy and achieve a consistent brand narrative. The aim of this module is to develop students' systematic knowledge and skills for understanding the complexity of the new digital landscape. In particular, the module will facilitate students’ learning of e-marketing models, social media and emailing in order to produce a coherent digital marketing strategy. 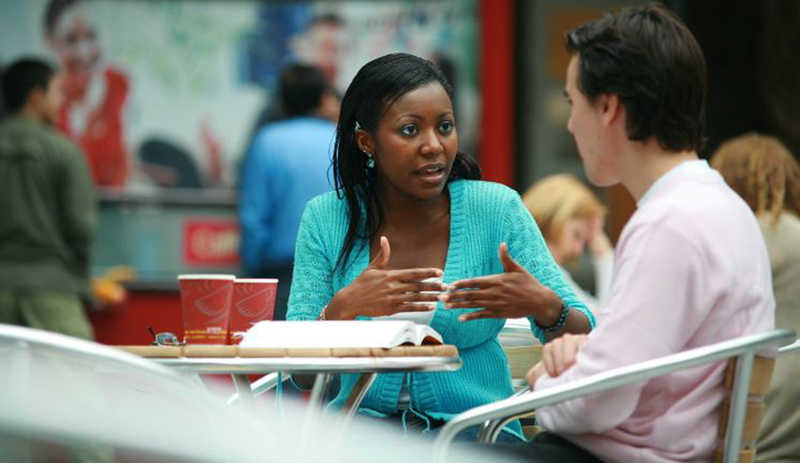 How is the MSc Strategic Marketing with Integrated Placement (15 months/24 months) taught? Lectures are a useful way to discuss key material or approaches, deal with issues, explore questions, concepts and theories, or introduce business case study material. During lectures, note taking and listening are essential as they will help you to make sense of what you have seen and heard, to identify and remember key points to understand difficult concepts and organise your material by making links and associations with other material. For small groups – these are structured, student-led sessions in which you might explore ideas in discussion, carry out practical tasks, or practice your research skills. All of these sessions are intended to provide forms of space in which you can discuss and share ideas; as well as develop skills and materials in preparation for assessments. In seminars, reading module materials, note taking and participating in discussion are essential. Actively participating and engaging in seminar discussion enhances presentation skills and the articulation of arguments and ideas and helps you prepare materials for assessment tasks. Much of your learning at university takes place outside class sessions. This encourages autonomous learning, providing you with the opportunity for critical self-reflection or space for self-directed reading or research. An example might be a research or practical project linked to a module's learning outcomes that you undertake independently or with a small group supported by your tutor. How can the MSc Strategic Marketing with Integrated Placement (15 months/24 months) support your career? Skills and knowledge in strategic marketing can be developed further through an in depth approach to and understanding of research, strategy, planning and marketing channels. A holistic understanding of marketing across the whole organisation is essential if you want to either progress to a senior role or are just starting out on a career path towards with the ambition of achieving one of these positions.